Some time ago I did a show on the Philo label, that was founded in 1945. 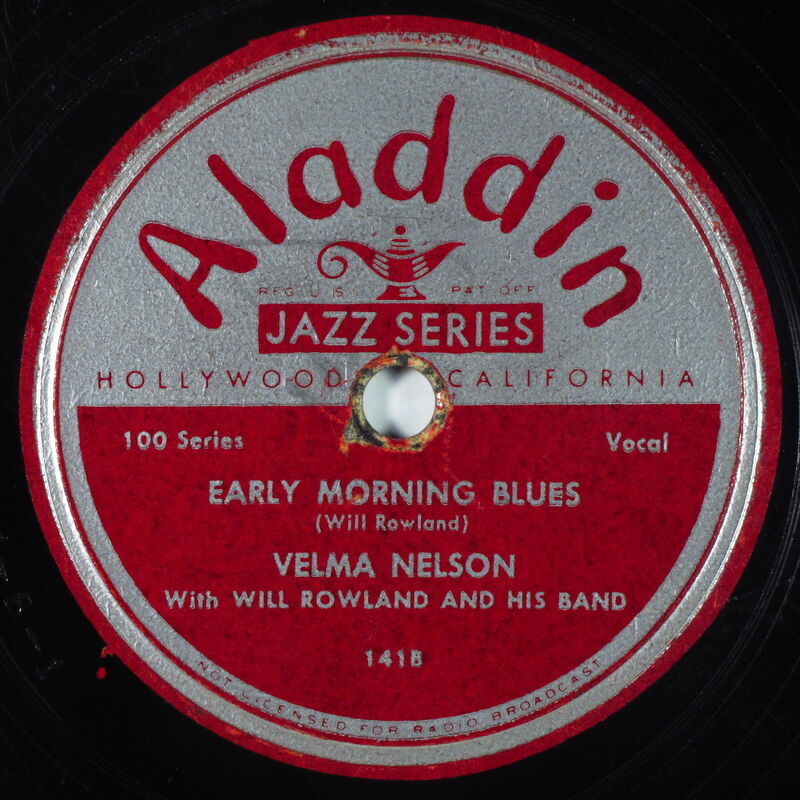 One year later the label was renamed to Aladdin, and that became one of the leading independent labels for Rhythm & Blues. Today, I'll take you back to the year 1946 and some releases of Aladdin of that year. And that brings us some of the greats of jazz, blues, Rhythm & Blues and pop, like Lester Young, Charles Brown, Amos Milburn and Al Hibbler, but also names that are completely forgotten, like Jack Larue, Mary De Pina and Henry Hayes. All are guaranteed for great music - like all on Aladdin.